One of the famous 'WOODFORD' brand (Established in 1860), this pocket watch has a modern Quartz movement in a traditional, full hunter case. The dial has a full sweep second hand and has 'Arabic' numbers. 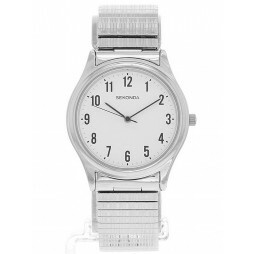 The watch is supplied with a chain that enables the wearer to either have it attached via a 'T' bar to his waistcoat, or else with a with a 'clip' to his belt, so that he can carry it in his trouser pocket. 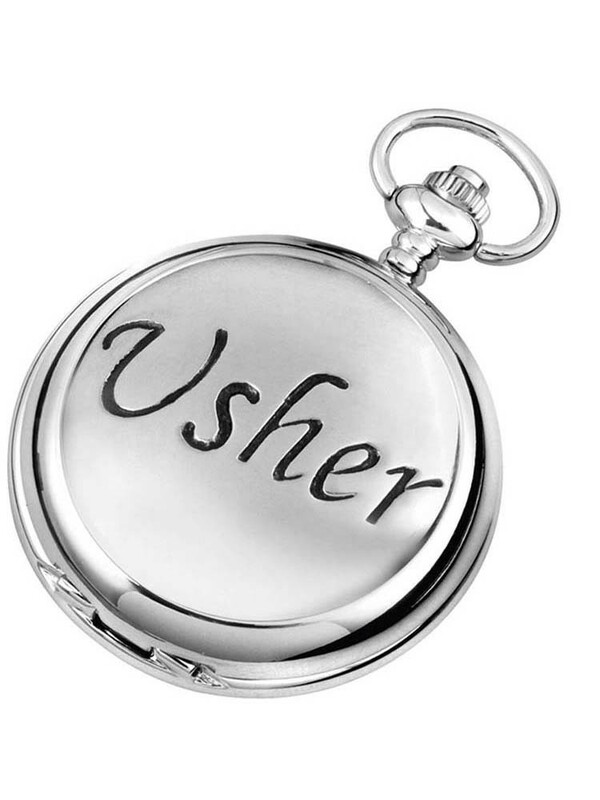 The pewter disk, fitted to the front, shows the word 'USHER' [ part of our Wedding series].